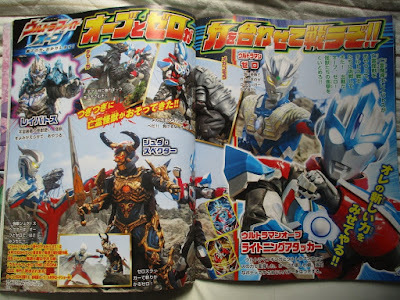 Check-out this bunch of Terebi-Kun May 2017 magazine scans featuring our first look at all the action scenes from the upcoming new Ultraman Orb spin-off, Ultra Fight Orb! 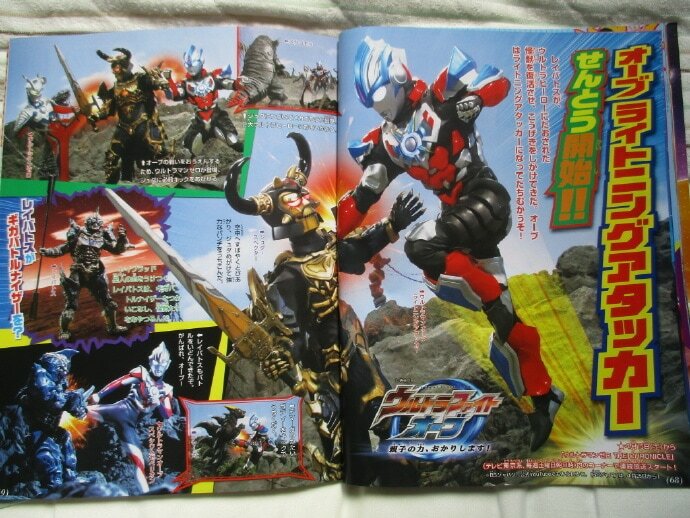 In the first month of Ultra Fight Orb, Ultraman Zero & Ultraman Orb will go up against the phantom mage Reibatos, who has acquired the Giga Battlenizer that was owned by Ultraman Belial in the past and will use it to revive Juda Specter and other monsters. 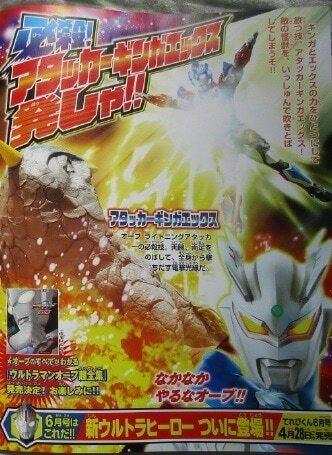 To counter this monsters, Ultraman Orb will finally use one of his newest Fusion-Up forms (a game exclusive form) that combines Ultraman Ginga and Ultraman X's power: Ultraman Orb Lightning Attacker! 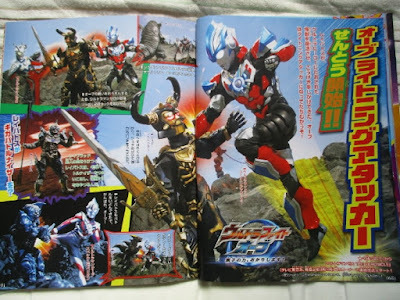 His finishing movie is called the Attacker Ginga X!